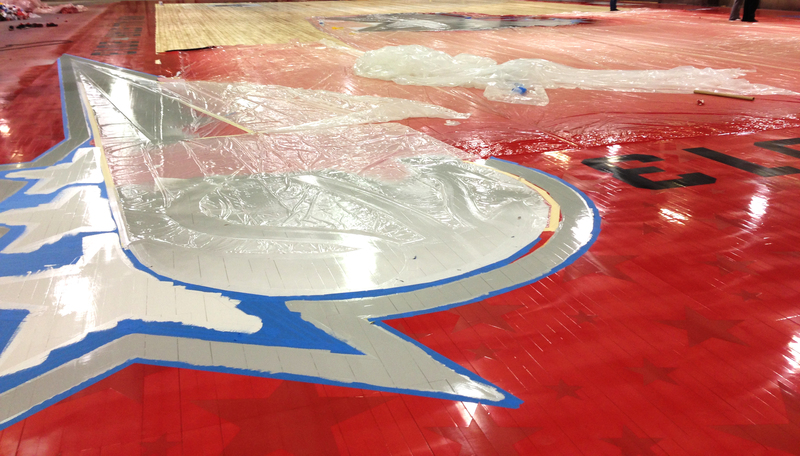 As the 2014 NBA All-Star game is approaching (and starters have been selected), we thought it would be nice to revisit last year’s floor. 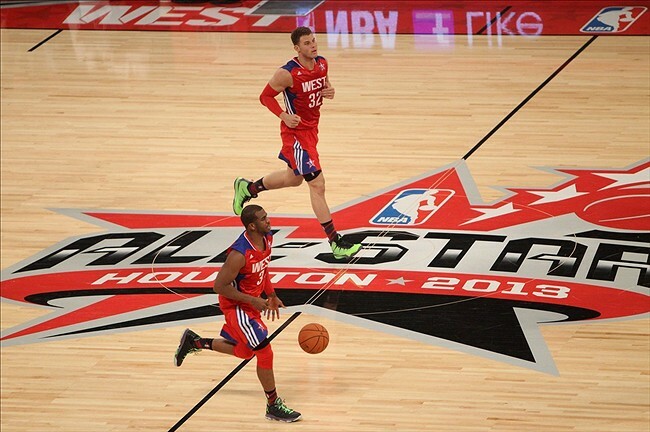 It was a big honor for us to provide the floor for the 2013 NBA All-Star game. As a small family owned business located in Michigan’s Upper Peninsula, Horner is one of the nation’s leading manufacturers of maple athletic flooring systems. We continue to be driven by our committed workforce and product innovations. A lot of games during the NBA season are played on a Horner Pro-King portable basketball floor system. We’re always willing to go the extra mile for our customers. 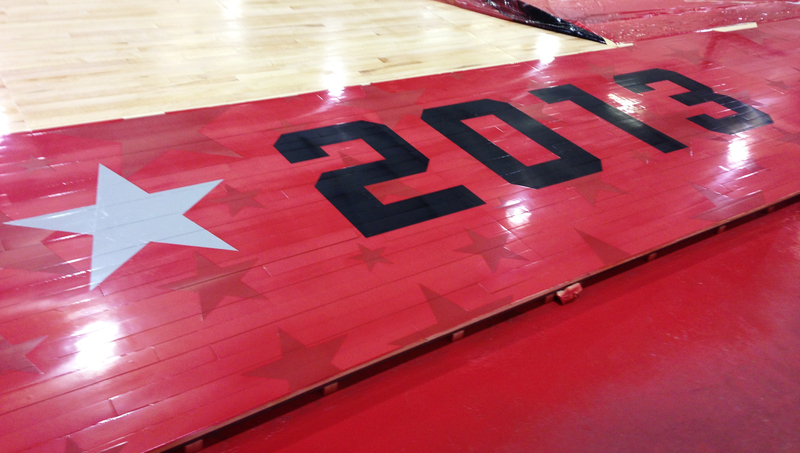 The 2013 floor had a lot of intricate details, such as stars lining the outer edge of the floor. These incredible details led Horner to call in a back up crew to help us out. Below are some behind the scenes photos! We always enjoy creating our floors, but this was especially fun due to the design. Want to know more about hardwood athletic flooring? 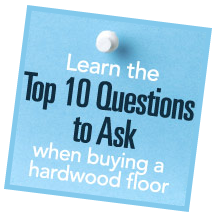 Check out our free ebook with the top ten questions to ask when purchasing a hardwood athletic floor!